Franklin Police and Crime Stoppers are offering a reward for information about this woman. On 07/21/2016, the victim was dining at a local restaurant when three credit cards were stolen from her purse. The victim discovered the theft when she went to pay her tab. 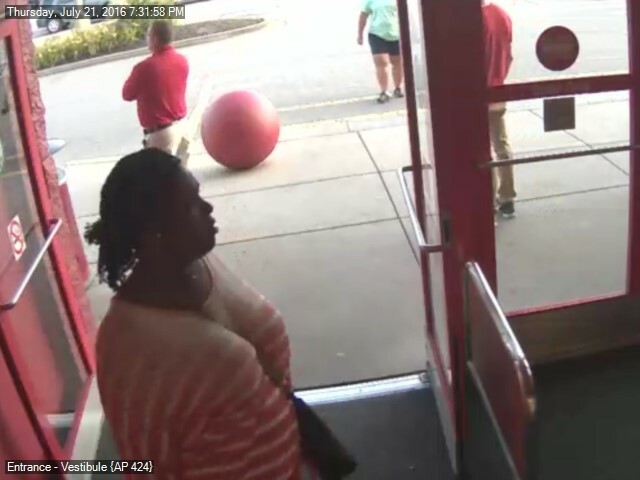 The suspect in these surveillance photos apparently used the stolen cards, immediately after they were taken, to charge more than $4,000 in clothes and gift cards at the Cool Springs Target. The suspect left Target in a black vehicle. anonymous information about the suspect.